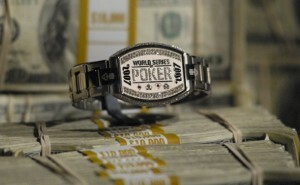 What would you do if you won the 2010 World Series of Poker – Part III? You’ve fought through a field of thousands, and now you’re sitting across the table from Phil Ivey – heads up for the most coveted bracelet in sport. … but, you’re hoping-against-hope that you beat Phil senseless and pocket the $8.5 million first prize! – Invest in real-estate; since you’re not trying to create new money, you can afford to pay cash and simply live off 75% of the rents (setting aside, perhaps, another 5% of your starting capital and 25% of all net rents against vacancies, repairs/maintenance, and other contingencies). – I never need to worry about eating into my capital: it’s sitting there in bricks and mortar – also growing at least in line with inflation! This entry was posted in Rich and tagged 7million, 7million7years, Investing, millionaire, money, Rich, wealth by Adrian. Bookmark the permalink. I am intending to go with a mix of real estate and equities. Both provide cash flow and it leaves me feeling a bit more diversified than an all real estate approach. Nah, I never got the allure of sports cars. Check out the B-60 — hoo-boy! I would guess that you can blow a good portion of your $11M on that baby! A single property may represent a large portion of net worth making it difficult to sell at the right time if needed, e.g. if rent increases lag interest rate hikes? A ready supply of ferraris may just be the answer if instant liquidity is required in a bear RE market. @Jake – that is one nice yacht! Unfortunately, a boat is best defined as a hole in the water into which money is poured. Probably not the best tool for preserving wealth. 1. Money you earn yourself and spend on yourself. 2. Money you earn yourself and spend on someone else. 3. Money that you did not earn that you can spend on yourself. 4. Money that you did not earn that you can spend on someone else. Note that #1 tends to be spent the most conservatively I dare say- the reason is that you understand the value of the effort required to earn that money and can use that to determine the best value for money when spending. #2 is almost as good as #1 however you are buying something for someone else. #3 is likely what you are alluding to for the case of winning the World Series of Poker, or the lottery, or a stock option windfall, etc. When such a large sum comes in then it’s hard to ‘value’ the effort required to earn this money. And therefore it’s easy to lose perspective and blow the money on cars, boats, parties, etc. This is where you need to make some rules to help people hang on to what they got. In this case the phrase Easy come, Easy go does indeed apply. Since the only way I will get to $6 million would be through money earned by myself it’s unlikely I’ll ever be in the Easy Come, Easy Go mindset. Oh and for point #4 this is the most inefficient way to spend money. Tax money and political spending all fit into this category- there is no level of effort required to ‘earn’ the money and it’s not being spent directly for the politicans’ benefit so that’s why there is so much wasteful spending going on without any pain or hardship on the decision maker.